A noble, reasonable successful 2004 CBC effort to run a series based on viewers’ votes for the top Canadian person ever. Terry Fox was a shoo-in for the top 10 (not ranked in the final list), of course. Gretzky was be a logical choice given the popularity of hockey in Canada. Don Cherry was a top 10 surprise; I wonder if he’d make it again if the vote was repeated today. There were two CBCers in the top 10: Cherry, Suzuki, and the hosts for each of the features on top 10ers were CBCers like Wendy Mesley, Rex Murphy, and Evan Solomon (back then). The other top 10ers included Banting, Bell, Douglas, MacDonald, Pearson, and Trudeau. The four I’ve seen so far (Trudeau, Banting, Bell, and Macdonald) were all genuine contenders for Greatest. Frederick Banting did not sell out for money and to the U.S. and his work for diabetics has saved millions of lives since. Alexander Graham Bell was an extraordinary inventor, also inventing the hydroplane, flaps for planes, electric communications, gridwork roofing structure, as well as the telephone, so he basically opened up what later became the Internet and online communications a century before. 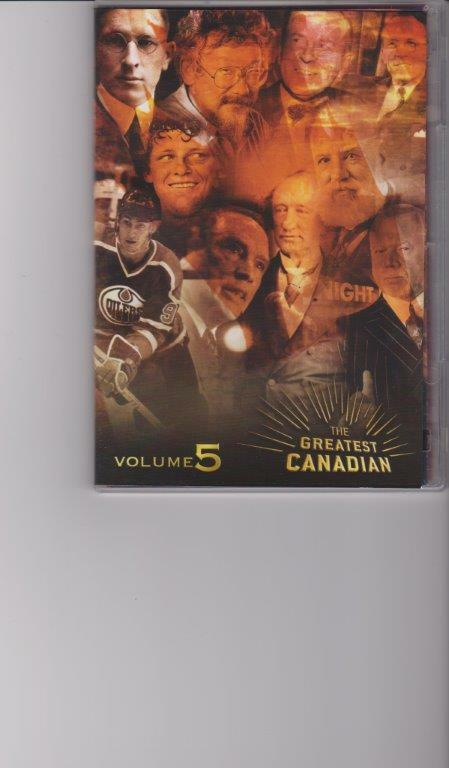 The 6 week-5 disc series was a greater success than the recent abysmal history of Canada series by CBC. It is too bad, incidentally, that Pierre Berton’s old CBC series on the building of the CPR is not available for average viewers. It would really add to the knowledge bank of Canadians wanting to find out more about how this country was built against long odds, and give folks a greater appreciation beyond this 150 year celebration blip this week. As previously stated, Fox is a shoo-in naturally. Suzuki is, of course, our greatest scientist-environmentalist. I’m not sure about the other top 10ers. Douglas (though his medicare achievement is unique), Pearson, and Cherry don’t strike me as top 10ers either. If a First Nations was to crack the top 10 today, I’d vote for the remarkable, versatile, eloquent Buffy Ste. Marie. If anyone else from the entertainment field was likely to make the top 10, I’m guessing Leonard Cohen or Gordon Lightfoot. The Group of Seven, incidentally, should be an automatic for the top 10 in terms of the arts. Anyway, I recommend this series for anybody who really wants to know more about our interesting history and the many special people who contributed to its greatness.